Harlan Ford was the first person to cast plaster tracks and report a sighting to the media of an a creature that he coined, "The Honey Island Swamp Monster" that is now known worldwide. Harlan Ford was my grandfather. His story has been documented and aired on TV many times since 1974 when he first talked to the media. Harlan Ford passed away in 1980. His wife, my grandmother, Yvonne Ford passed away 2013, and while moving everything from the Ford home after it was sold, we came across a letter that Harlan Ford wrote himself in the 1970’s about his encounter with the Honey Island Swamp Monster. I’m not sure if the letter was ever published in the magazine he sent it to. As we all know when stories are retold many times, certain details change, get exaggerated, maybe by accident, maybe on purpose. Some people try to say his story was a hoax after a local hunter found a track glued on the bottom of a shoe. But luckily Ford’s encounters were documented in his own words in the letter that could explain the shoe track. I have inserted Harlan Ford’s actual letter in my newly revised book for you to read. There are also recent eye-witness encounters that are documented in this book. 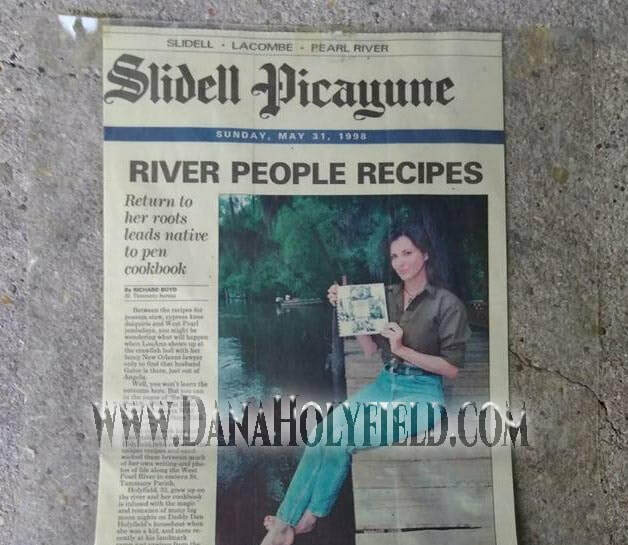 My name is Dana Holyfield and I am the grand-daughter to Harlan Ford, whose legendary encounter with the Honey Island Swamp Monster has became a famous swamp tale known worldwide. So, in 1997, I wrote a little booklet titled, "Encounters with the Honey Island Swamp Monster," that documented Harlan Ford's story, and several other eye-witnesses who came forth with similar experiences. I later made a documentary film called, "The Legend o the Honey Island Swamp Monster" that led to me making guest appearances over the years on TV shows such Hannity's America on Fox, the Travel Channel's, "Mysteries At The Museum", the Sci-Fi Channel's, "Fact or Faked," "Swamp People," and "Book TV" to name a few, to talk about my Grandfather's encounter and the 8mm film that we found in his belongings after he passed away. Since then, I have revised my book and film with more recent information that I learned about within the last five years. If you want to purchase the revised book, you can do so on this website or online at other booksellers. The revised documentary film is available online. The book documents Harland Ford's story that was written in his own words in a letter that he wrote to a magazine about his encounter in 1974. I included the letter in the book unedited. The book also includes stories from other eye-witnesses. *****Five Star Reviews From Customers on Amazon. GET YOUR PERSONALLY SIGNED COPY OF MY REVISED BOOK DIRECTLY FROM ME! Please allow up to two weeks shipping and handling because the books are printed on demand. So when you make an order I have it printed. When it arrives, I will sign it, then mail it directly to you. Thanks. ORDER APERSONALLY SIGNED COPY of my book, just specify when ordering who you would like me to sign the book to. This book documents sightings and encounters of the Louisiana Honey Island Swamp Monster. I am the grand-daughter to Harlan Ford, who was the first person to pour plaster castings of tracks and report a sighting to the media of an unknown creature known worldwide as the legendary Honey Island Swamp Monster. This book documents Harlan's story as well as several other eye-witnesses. It also features a new encounter that I recently learned of about a missing man believed to have been the victim of the monster. 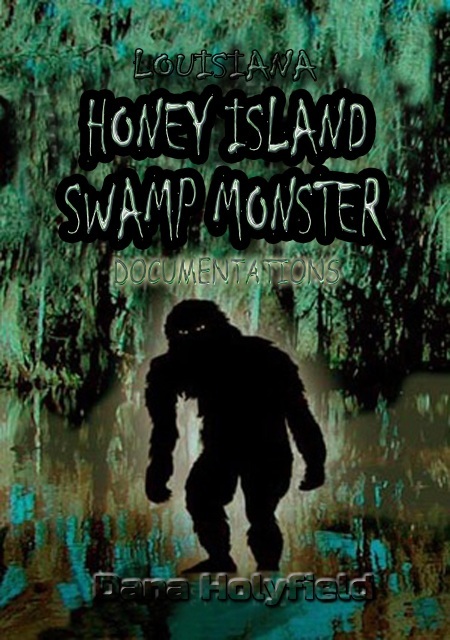 I have also made a documentary film about the Honey Island Swamp Monster that you can find on Amazon Video on Demand that has many of the eye-witnesses on camera who are featured in this book. By G. J. Black (Rocky Mts) Buy this one! !This film is documentary style...but not just a string of 'stories'. Great continuity and a decent filming style.The main resident is REAL...his words are memorable and will stick with you! Science is touched upon.AND, if all that is not enough...the MUSIC is enjoyable...and the lyrics would stand on their own.I show this one to company...that's saying something. by Robert P. "Louisiana State Director of the American Anthropological Research Foundation wrote"
I just watched the DVD. It is fantastic. Thank you for your efforts in putting this film together. 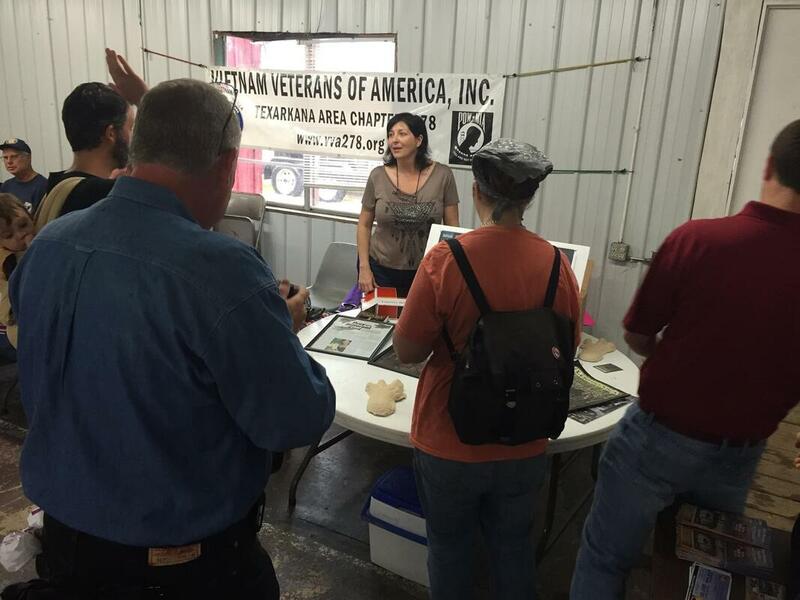 I am a member and Louisiana State Director of the American Anthropological Research Foundation. Our goal is to prove beyond any doubt that these wonderful beings exist and then to get them the protection they must have. The last thing we want or need is for someone to kill a being like this. Please spend a few moments visiting our website at Trueseekers.org I am more convinced than ever that these Forest Giants are much more widespread and numerous than anyone thought. These people in your film are not hallucinating. Many of the folks you interviewed have been in the swamps their entire lives. Folks like that are not prone to fantasy and illusion. As a general rule, you can take what they say to the bank. I watched it last night & again just now. Your film, showing real persons telling their stories in their own words, every minute of your film comes across as the real truth, totally believable & authenticate giving the unvarnished facts. Those who have a very sincere interest in such things, & who really wants to learn something more about the Honey Island Swamp Monster, your film is at the very top of the Cryptozoology must see list. I really enjoyed it. Lot of local characters on there that seem like they have legit stories. 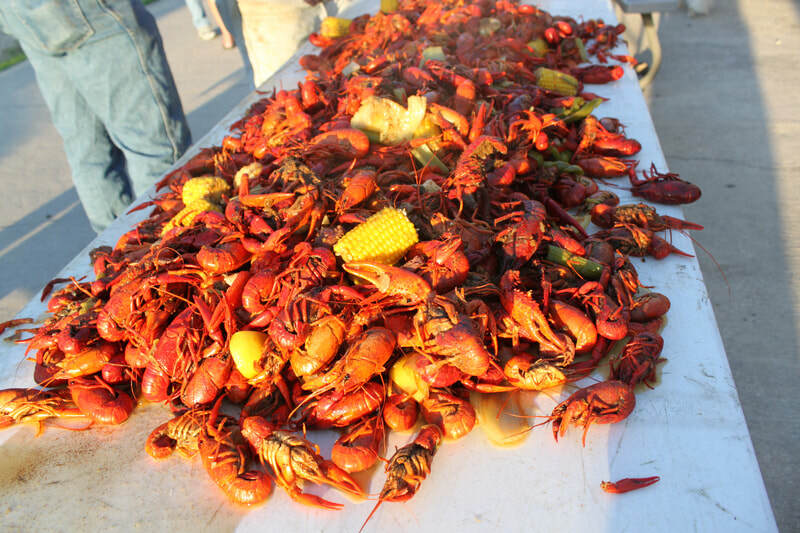 I will recommend it to my friends and other folks that I know. Take care and if you make another video, please let me know as I would like to purchase it. THE BOOK IS ALSO AVAILABLE AT AMAZON IN PRINT OR ON KINDLE. CLICK THE LINKS BELOW. Click the picture below to subscribe to my channel! Track Replica of the Honey Island Swamp Monster Footprint Track made with Morter Mix or Plaster Paris. Terral Evans, in the episode "Full Moon Fever"
searching for evidence of the Honey Island Swamp Monster. You can rent the episode on Amazon at the link. SWAMP MONSTER ISLAND is a CHILDREN'S SHORT NOVEL. Story is fiction based on a little fact! HOW TO TRAP A SWAMP MONSTER is a children's picture book for young readers by Dana Holyfield. To Contact Dana Holyfield - please fill out form below.